Anyone else playing music tonight? This will be the second year in a row for playing ITM and Irish sing-alongs in my garage. Last year I was very green on the whistle but it was still a blast and everyone there was singing at full volume. This year we actually have a mandolin player and guitar with me whistling and singing (hopefully not at the same time) and we actually have a set list. So fancy. We also make heaps of food since that's what we do for a living. Can't wait. We are having about twenty people over for dinner. I'm taking a break from chopping. I might be cajoled into playing a tune or two. When I was 18 I lived in Manhattan and experienced my first NYC St. Patrick's day, probably 1978. UNBELIEVABLE. Every cop in town was marching. Where the parade let out on the upper east side it was just nuts. I've heard that about Philly, is that where Liberty Bellows is? We definitely try not to fall into too many bad habits and no bloody green beer!! Pretty much just an excuse to see old friend, play music and stuff our faces. Plus maybe a titch of whiskey. I think we were all put off by combination of excessive drunkenness and disposable green ornaments and signs. That would be me. The being put off, that is, not the indulging in clichés and bacchanalian debauchery by all and sundry (which, scratch me deep enough, I always found frankly racist). I came to dread the St. Paddy's gigs. Sure, you made money, but heaven help you if during breaks someone didn't stay on point to protect the setup from drunks who thought it was okay to lurch onto the stage and handle the instruments if they didn't break them by crashing into them first. Had some very close calls that way. I'm happy to be done with that. When people ask incredulously why I don't go out on the day appointed, I reply, "Meh. For me, it's always St. Paddy's Day." Growing up the day was all about the family dinner, corned beef, cabbage, potato, carrots, and yes some indulgences. These days I play in a group and we did play at the local Irish club and various libraries, assisted living facilities, house parties during the past weeks. Today is special but every day is special as well playing the traditional Irish music. We just did our gig at the local Irish pub, who has hosted our session every wednesday. Already done for today, kicking back at home with a beer or three, local newspapers already reporting that "the guy with the concertina is gone, you can all go outside now." We're going to have the traditional St. Pat's day feast of pizza because I forgot to set up the crockpot in the morning. I suppose it's just how you make it. I've stopped inviting people who just get smashed. I have a great group of friends and it's always good to see everyone. I also just went for an amazing x-country ski behind my house in short sleeve shirt and full sun. What a day. We had a grand party with lots of neighbors, kids running around, I made huge amount of lamb stew and some brown bread and my daughter made an apple cake. I had an Irish music playlist going all night which people loved. I whistled a couple tunes to kind and undeserved applause. People drank enough to be sociable but no more, it’s a school night! I remember kind of dreading New Year’s Eve gigs. Sometimes fun, and they paid well, but tended to lower my opinion of my fellow man. Last edited by PB+J on Mon Mar 18, 2019 3:47 am, edited 1 time in total. I remember kind dreading New Year’s Eve gigs. Sometimes fun, and they paid well, but tended to lower my opinion of my fellow man. With the bars in mind, where I live we call both New Year's Eve and St. Patrick's Day "Amateur Night". There are Sober St. Patrick's Day events in several locations. 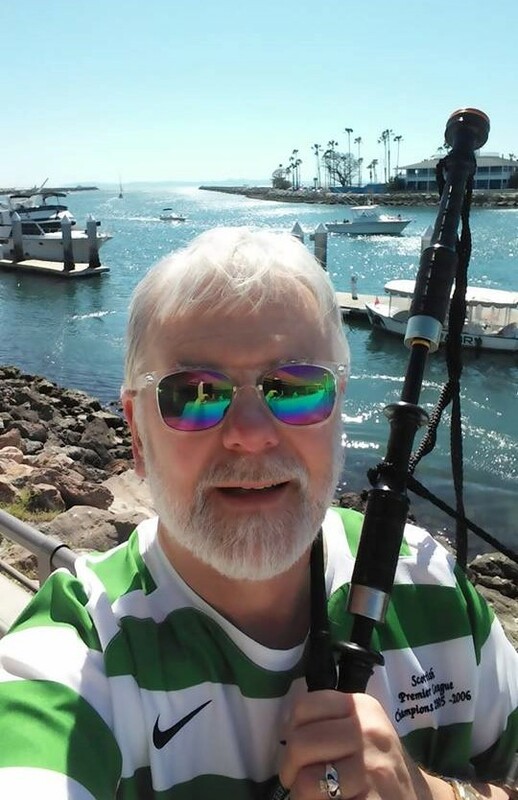 As a Highland piper and uilleann piper I've been doing St Pat's gigs for 40 years now. Back in the 70s it was Highland pipes in noisy crowded pubs from morning to midnight, sometimes the pubs were so loud I couldn't hear myself play. In the 80s I played with an Irish band (accordion guitar fiddle uilleann pipes etc) and it was more noisy pubs, only then we had mics and big speakers. For around 20 years now every St Pat's eve has been the same gig: a small quiet house party. I just sit in the corner and play uilleann pipes, whistles, and Scottish smallpipes. I'm paid well and I'm home by 10pm. It's ideal for me. 1) Thursday March 14: two gigs with an Irish band, one 2 hours, one 4 hours. Uilleann pipes, whistles, and drum for me. 2) Friday March 15: solo Highland pipe gig, waiting around for 2 hours to play for 2 minutes, a high-end corporate thing. 3) Saturday March 16: pub crawl with some Highland pipers and drummers. March in, play a few tunes, pass the hat, and get out. No pub owner is going to say "no" to free entertainment! 4) Sunday March 17: just the house party in the early evening. Oddly I didn't get a Church gig on St Pat's, which have been a staple for me over the years. How about St Pat's pics?? Here's the start of the pub crawl, Ballast Point Brewery, Long Beach California, clear cloudless skies and 75f. Quite a week you had Richard; it's a good test of your endurance. Mine was a 3 hour event on March 10 at a craft beer private party - guitar/singer and me on the whistle. I only had one beer, which took a bit of self control. A musician friend of mine made a good point on facebook the other day. Yes, St. Patrick's Day in the US has very little to do with honoring St. Patrick, or Irish tradition. And it has more to do with dressing goofy in green and partying hard and getting drunk (esp. for the younger crowd). But it gives a lot of musicians work and puts a lot of green in their pockets. And that's something. Nailed it!! My good friend who I jam with is from Derry and has always hated this day until we started doing this party in my garage. Now it's his favourite. Haha. There is a direct correlation between my ability to play and the amount of drinks i imbibe. Therefore, I drank tea until after 8:00 on the 17th, then just a couple Guinness. Great night.